Early last month, major storms ripped through the El Paso area and, over the course of several hours, they left behind a massive amount of property damage. 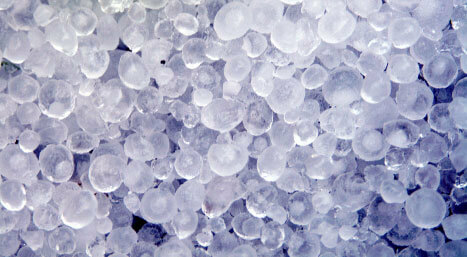 The biggest problem was a huge hail storm, during which the area was pelted with hail stones that were an inch or more in diameter. In addition, the storms brought heavy rains and winds that were clocked at as high as 70 miles per hour. Thankfully, although the National Weather Service also issued a tornado warning, no funnel clouds were reported as part of the storm. Still, the storm left behind a lot of damage to buildings and property, due to the hail, the lightning, the massive flooding, and the high winds, which left flying debris and fallen trees in their wake. According to a number of witnesses, the streets in some neighborhoods apparently lacked adequate drainage and saw severe flooding, and other neighborhoods located near an El Paso canal system, also saw heavy flooding when the canals overflowed. The preliminary damage assessments for these storms are estimated to be several million dollars, but the total is expected to be much higher. The toll from these storms added to what has been an expensive year for insurance companies throughout Texas. Recently, the Insurance Council of Texas released a report noting that property losses statewide from the storms that occurred in April and May of this year resulted in more than $1.5 billion in property damage, so additional losses may make insurance companies a lot more difficult to deal with when it comes to paying storm damage claims. The key to filing any El Paso storm damage claim is in making sure you include as much documentation as possible with the submitted claim. The insured should provide enough photos and videos so that the claims adjuster has sufficient visual evidence of the extent of the storm damage, as well as extensive documentation with regard to the value of the damaged property and estimates for repair costs. Soon after you file a claim, the insurance company will send out an adjuster, who will assess the extent of the damage, calculate the cost of needed repairs and file a report with the insurance company. Keep in mind that the adjuster works for the insurance company, so if you have doubts about the fairness of the adjuster’s report, you can hire your own public adjuster and obtain a second analysis. This is something that has to be done quite often. 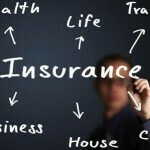 Because so many insurance companies will be handling the thousands of claims from the El Paso hailstorm, as well as the massive number of property damage claims from earlier this year, a lot of companies will delay, underpay, or deny legitimate insurance claims. If something like that happens, you do have the right to file a lawsuit against that carrier. If your El Paso hailstorm property damage claim has been delayed, underpaid or denied, you can hire an attorney, like the experienced insurance attorneys at Raizner Slania for help. We work with our clients from the beginning, because we know how to evaluate a case and get insurance providers to honor their contracts and pay the insured for legitimate claims.